Even more than a b*$&! "failing to have a quick, convenient, coolly spooky Halloween costume" is one problem you don't want included in your 99. 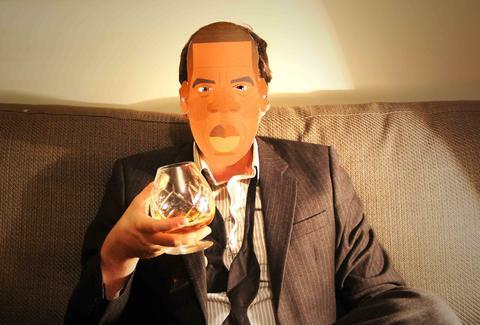 Thankfully, celebrated dauber Stanley Chow has slapped together this stylized Jay-Z mask you can print out (optimally on thick paper), then attach with string or a rubber band. Once dressed like the ultimate Halloween character -- a "Monster" in music, business, and Kanye collaborations -- all you'll have to worry about is your real problem, "Am I still eligible for free sweets? ".